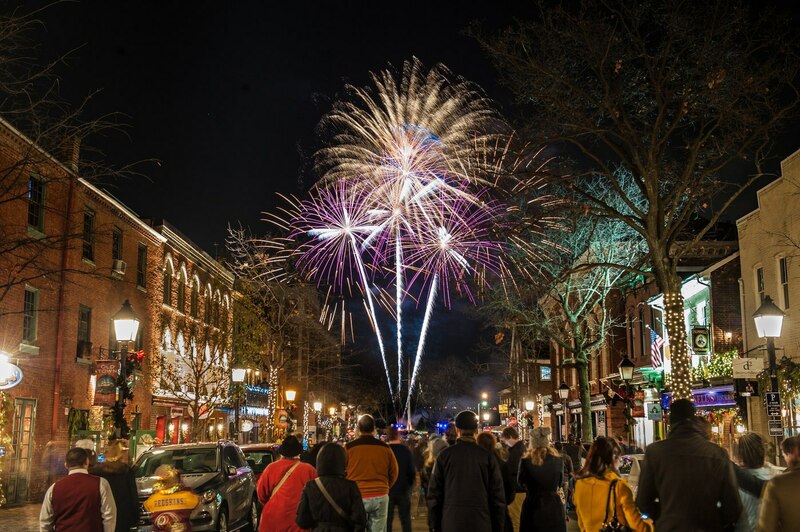 Few communities in America celebrate the holidays like Old Town, Alexandria. Whether its traditional events honoring Old Town’s European heritage and colonial history or the Christmas Eve spectacle of a waterskiing Santa and jet skiing Grinch on the Potomac, there’s a reason residents and visitors from throughout the metro region celebrate the season on the cobblestoned streets of Old Town. With a little creative license taken from the traditional English carol, here’s our recommendation for The 12 Days of Holiday Happenings in Old Town. It may lack turtledoves and a partridge in a pear tree, but it IS packed with some highly recommended events...and you’ll even find some drummers drummin’ and pipers pipin’ on day one. On the first day, Alexandria gets December started with parades on land and water. The 48th annual Scottish Christmas Walk is arguably one of Old Town’s biggest events of the year. 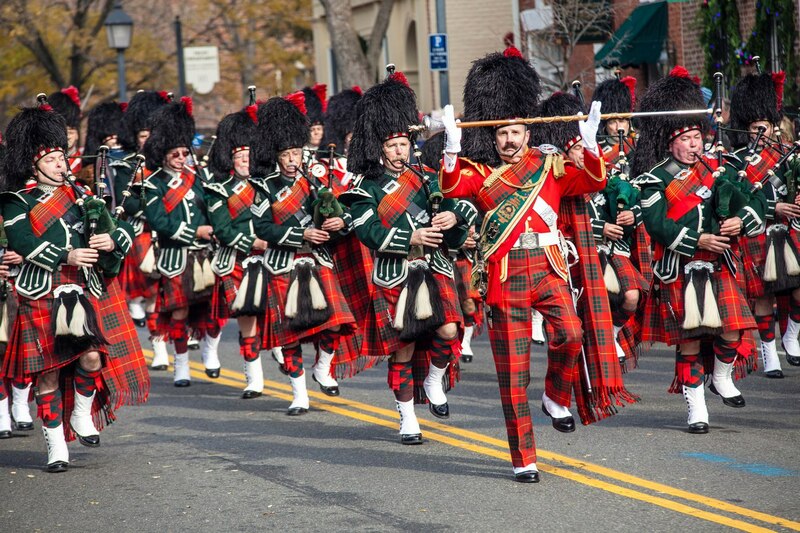 More than 125 groups from throughout the Mid-Atlantic are expected to march in this year’s parade, including numerous Tartan-clad Scottish bagpipers and drummers, dancers, reenactment groups and Scottie dogs. Held rain or shine, the parade steps off at St. Asaph and Wolfe streets and travels a route that concludes at Market Square. The Walk and related weekend events support The Campagna Center, which serves more than 2,000 individuals and families in Alexandria daily. After dark, Old Town’s attention shifts to the water. 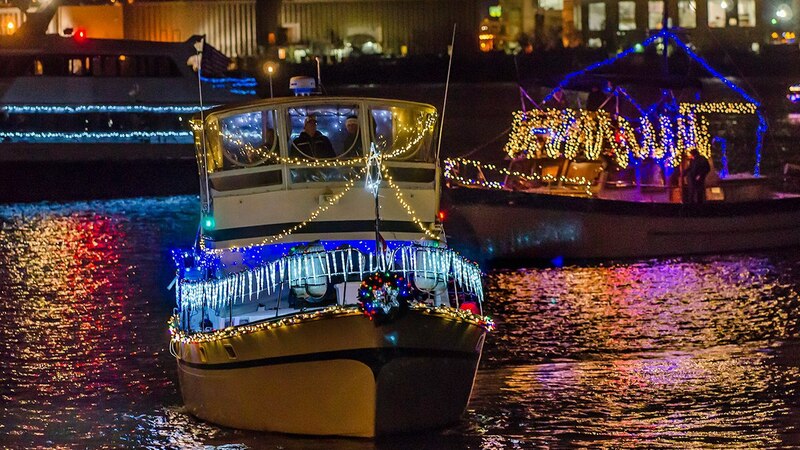 Beginning at 5:30 p.m., dozens of lighted boats cruise the Potomac for the 19th annual Alexandria Holiday Boat Parade of Lights. The viewing area stretches for a mile along the riverfront. Suggested spots include Founders Park (351 N. Union St.), Alexandria City Marina (0 Cameron St.), Waterfront Park (1A Prince St.), Shipyard/Harborside Park (1 Wilkes St.) and Ford’s Landing Park (99 Franklin St.). In future years, the promenade and pier at Robinson Landing , currently under construction, will be added to the list. On shore, a beer garden, restaurant pop-ups, ornament workshop and other events take place at the Marina from 2 p.m. to 8 p.m.
On the second day, the seasonal pace accelerates with the Alexandria Holiday Sweater Run at 8 a.m. Walk or run, all participants are welcome and no tickets are required. The event leads out of Old Town along Union Street and then connects to the George Washington Memorial Parkway Trail with options from 4 miles to 20. Tickets are required for the post run brunch with seatings at 9 a.m. and 10 a.m. at Chadwicks. Wear your holiday sweater and receive 20 percent off. 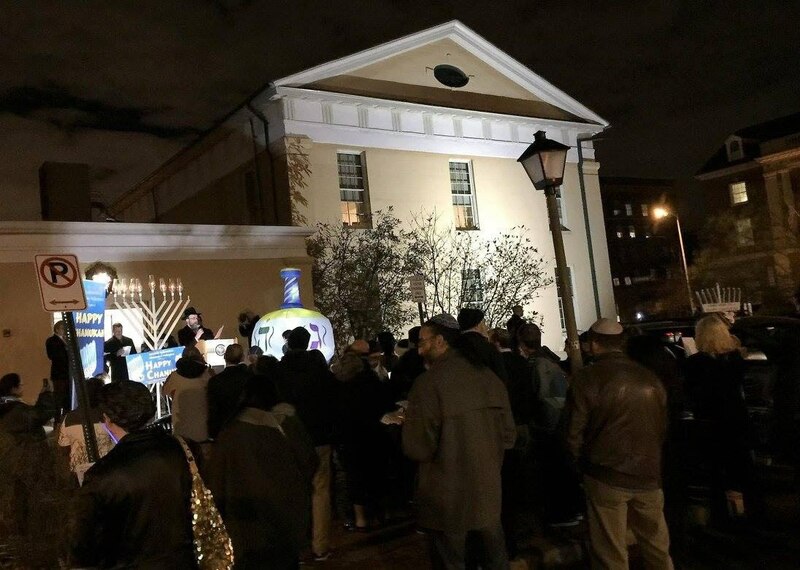 On the third day, advance one to Dec. 4 and catch the Chanukah Festival Memorial Lighting at 6:30 p.m. at The Lyceum, Alexandria’s history museum. Members of Chabad Lubavitch of Alexandria-Arlington will join Old Town residents for the lighting of a giant six-foot menorah. Chocolate gelt and dreidels for all and free light sticks for every child. Enjoy lively Chanukah music and fresh hot latkes. On the fourth day of Holiday Happenings in Old Town, skip ahead to Dec. 6 and shop away at Ten Thousand Villages, a fair trade retailer of artisan-crafted home décor, personal accessories and gifts from around the globe. It’s Shop Night for Friends of the Alexandria Mental Health Center with 10 percent of proceeds supporting Friends of the AMHC (20 percent if sales reach $2,000). The event is one of many “shop nights” held at the King Street store through Dec. 18 to support area organizations and charities. On the fifth day, the tempo picks up for the Alexandria Singers “Believe” Holiday Pops Concert taking place Dec. 7. Since its founding in 1975, this group of singers from Old Town and surrounding areas has remained steadfast to its mission to perform American popular and patriotic music at local events, music series, senior centers and community shelters. 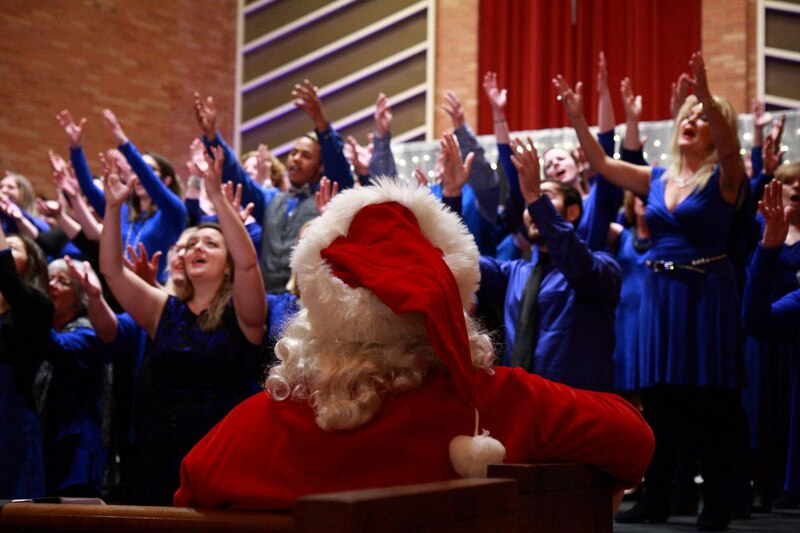 Three holiday pops shows take place Dec. 7 and 8 at Convergence. Reserved seats are $25 with general admission at $20 for adults; $15 for groups of 10+, seniors, active military and students; and free for children under 5. On the sixth day, stroll the streets of Old Town for Alexandria’s museum and historic home candlelight tours held on Dec. 8. 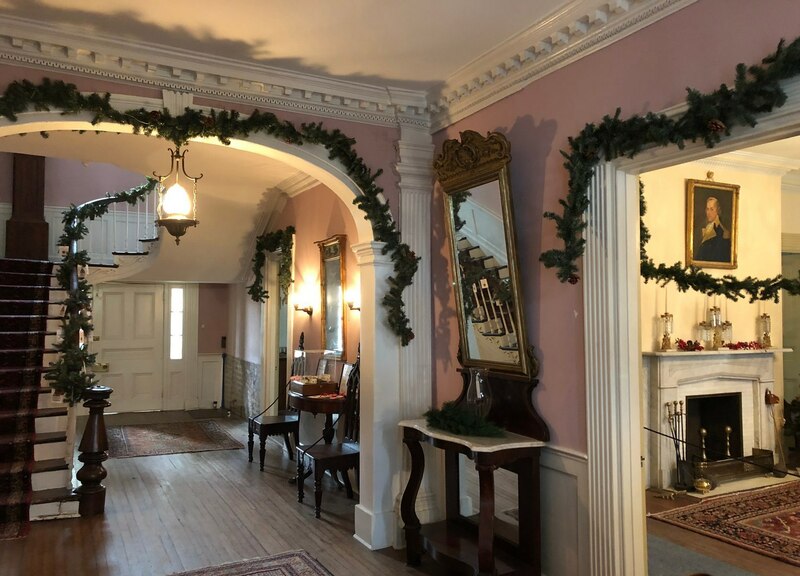 Enjoy seasonal decorations, entertainment and light refreshments at Gadsby’s Tavern Museum, Carlyle House and Lee-Fendall House. This year’s guest site is Alexandria’s Black History Museum, which features “Our Alexandria,” the Sharon J. Frazier and Linwood M. Smith Dollhouse Collection. Tour any time from 4 p.m. to 9 p.m. Allow 1.5 to 2 hours. A free shuttle runs in a continuous loop. Tickets are $25 for adults; $20 for seniors and military and $5 for children. Earlier in the day from 11 a.m. to 1 p.m., the Black History Museum will host a How to Celebrate Kwanzaa Workshop, which includes hints on easy to make crafts, games, gifts, recipes and decorations. Admission is $2. On the seventh day, jump ahead one week to Dec. 14 when the popular Alexandria’s After Work Concert series hosts its annual Christmas concert. Held at The Lyceum from 6 p.m. to 8 p.m., the program will feature live music, stories behind the songs and sing-along time. The concert is free. Donations will benefit the Alexandria History Museum at The Lyceum and the Folklore Society of Greater Washington. Beer and wine for sale and light refreshments available. On the eighth day, turn to Dec. 15 and experience a Victorian Christmas at Lee-Fendall House. The celebration includes holiday crafts, photographs with Santa, seasonal treats, story time, an antique toy exhibit and more. Sessions are at 11 a.m., 12:30 p.m. and 2 p.m. Tickets are $12 for children 2-12; $8 for adults and children over 12. Advance purchase recommended. On the ninth day, ring in the week before Christmas at the Colonial Ringers annual holiday concert with two shows on Dec. 16 at 2 p.m. and 4 p.m. at The Lyceum. Ringing a set of nearly 80 bells in colonial dress, the group will feature “Bells in Toyland” for its 2018 holiday show. Numbers include original pieces as well as holiday favorites. The program is approximately one hour and free to the public. On the tenth day, make your own gifts on Dec. 22 at the final Holiday Happenings Pop-up held in the park at the intersection of Fayette and King streets. The Saturday pop-up is by Red Barn Mercantile and features toy-making and game-playing. Other pop-ups earlier in the month include kids crafts, jewelry-making, pendant crafts and cookie-making. 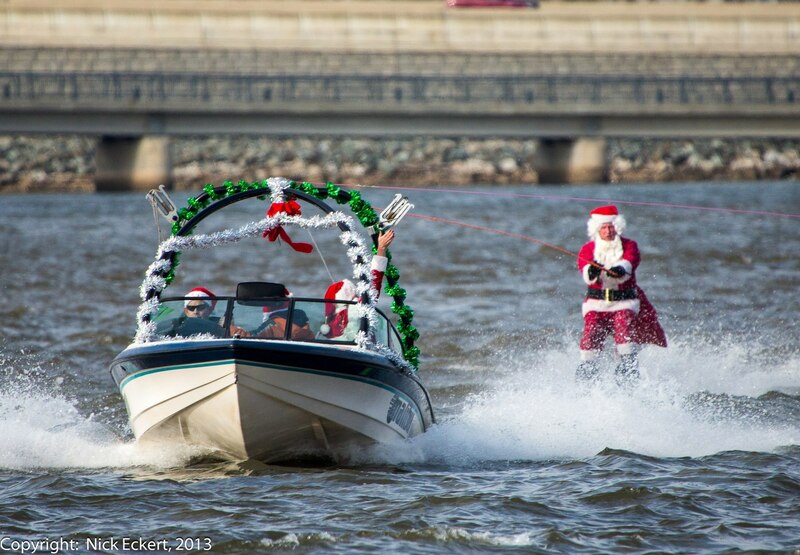 On the eleventh day, Christmas Eve on the Potomac is marked by the 32nd annual Waterskiing Santa event. Don’t miss Santa, Mrs. Claus, elves, reindeer and The Grinch on skis and jet skis. The show starts promptly at 1 p.m. Viewing is anywhere along the waterfront from Point Lumley Park to just north of the Torpedo Factory. On the twelfth day, ring in the first day of the New Year at First Night Alexandria. More than 150 family friendly, alcohol-free events are planned at indoor locations throughout Old Town and nearby areas beginning at 2 p.m. and continuing until midnight. The entertainment includes magic shows; comedy and poetry showcases; pop, rock, blues, bluegrass, Irish and country music performances and dance; and watch night services held at two Old Town congregations. First Night badges are $30 in advance in December and may be purchased online. Day-of tickets are $35. Continuous shuttles run from the King Street Metro station to the Durant Arts Center and the George Washington Masonic Memorial where events are also held. The King Street Trolley and DASH buses provide transportation within Old Town. For more information on The 12 Days of Holiday Happenings in Old Town and other events held throughout the year stop by the Alexandria Visitor Center at Ramsey House or go to www.visitalexandria.com.